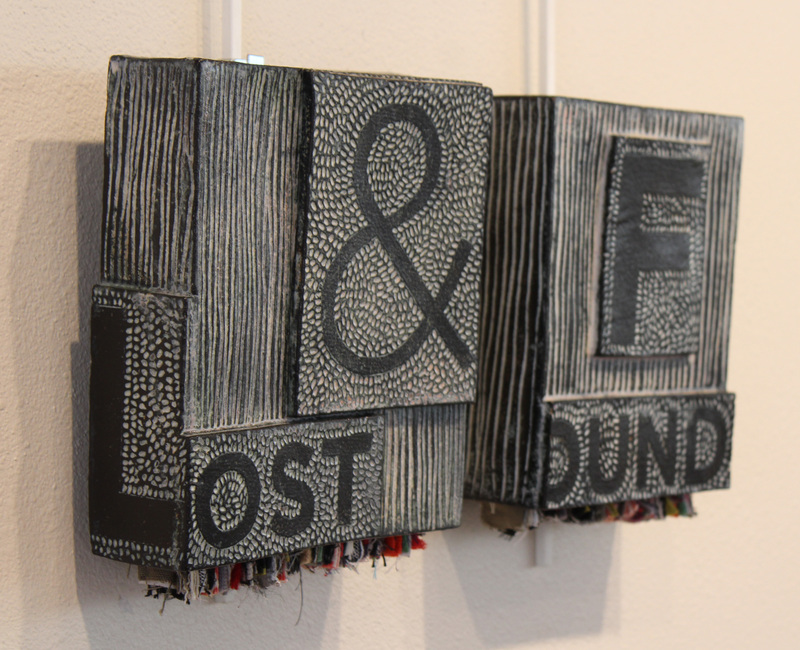 AMES, Iowa – Multimedia works by Tina Rice, an Iowa State University graduate student in integrated visual arts and graphic design, are on display through May 18 at the Gallery in the Round, 1015 N. Hyland Ave., Ames. A native of Sacramento, California, Rice’s artwork “is informed by visual analysis of found objects and images,” she said. 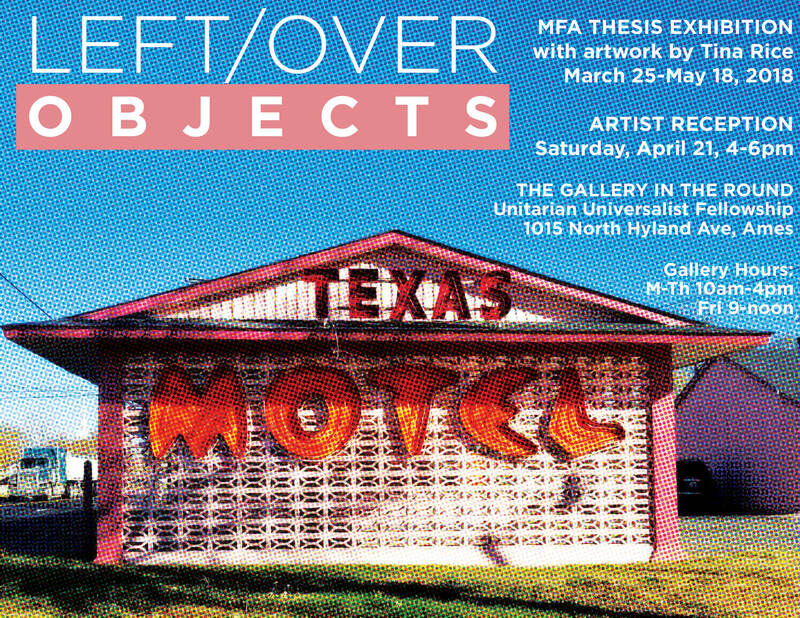 Her Master of Fine Arts thesis exhibition, Left/Over Objects, features sculptural objects inspired by and incorporating abandoned and discarded objects like clothing and furniture that are “loaded with meaning that is interpreted differently from person to person,” she said. 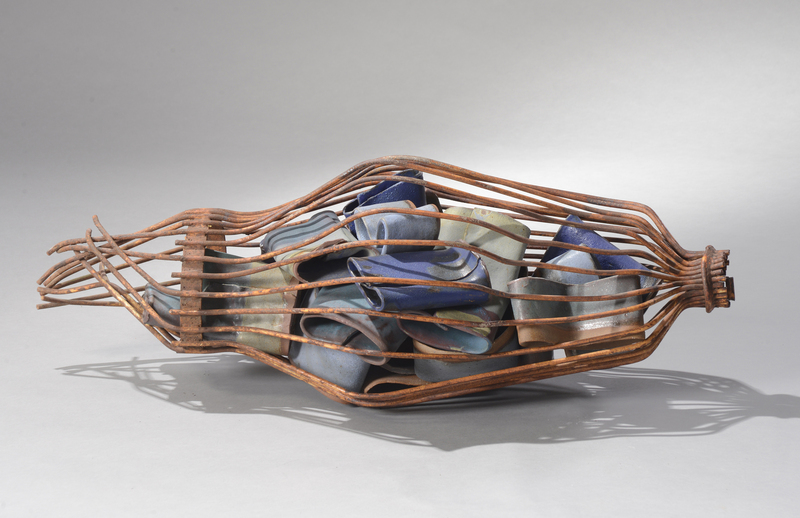 “As I use these items that used to be meaningful to a stranger, I prolong the objects’ value. I extend their lifespan and shift their purpose from commodity to art object,” she said. Gallery hours are 10 a.m. to 4 p.m. Monday through Thursday and 9 a.m. to noon on Friday. Rice will briefly speak about her work during a public reception from 4 to 6 p.m. Saturday, April 21. 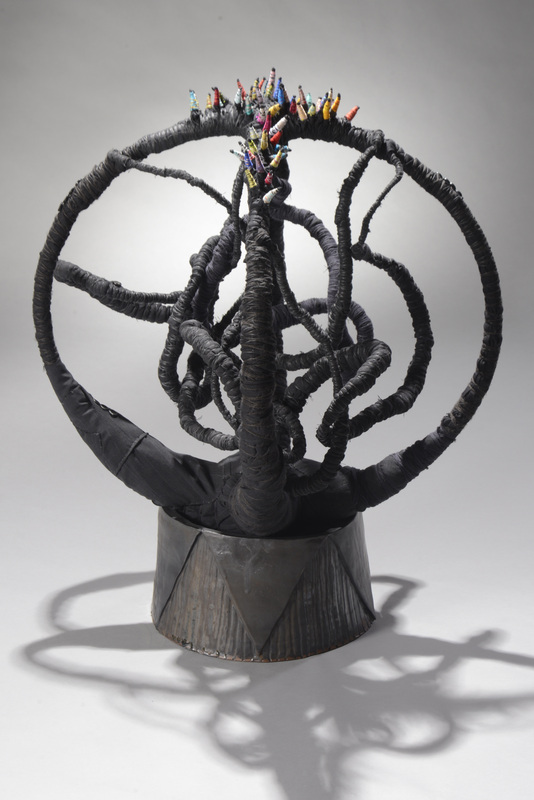 Rice received a Bachelor of Fine Arts in art and design from Iowa State in 1994. As a graduate student, she has helped manage the ISU Design on Main Gallery, helped develop a course on the history of sports graphics and taught the sophomore graphic design studio, a graphic design history course and several ceramics classes. She also works with the ISU Center for Excellence in the Arts and Humanities. Rice will graduate with a dual MFA in graphic design and integrated visual arts in May.